Colin Rich’s interpretation of the city captures the downtown district including a memorable reverse view of the Hollywood sign. Colin’s “LA Light” journey serves as a homage to the best of LA’s landmarks at night. The most notable benchmark for cinematic brilliance of LA’s nighttime hues and tones could be Michael Mann’s 1995 feature film, ‘Heat‘. This movie captured a quiet ambience, albeit with some lesser known architecture. Dante Spinotti the cinematographer on ‘Heat’ provided stark unsentimental framing and Elliot Goldenthal gave an equally minimal soundtrack avoiding the mundane and elevating the sober mood into a truly admirable realisation. The dramatic visual of elevated interfaces designed to convince you that the sequence is indeed sci-fi. It’s often said, “Always dare to fail. Always take chances, and never give yourself the comfort of not trying”. In honor of Edison who’s rare successes beat the 10,000 failures. STASIS by Christian Swegal 24m high definition movie with outstanding art direction. Adrenaline junkies captures the brilliance of bikes. Shinya Kimura – Chabott Engineering from Henrik Hansen on Vimeo. Exquisite work. The film, the story, the subject, the bikes – beautiful. Greenpeace Global Voices features stunning and beautiful visual storytelling–chock full of charismatic energy. Sobering trend and fearful as-ever about our collective future. This is a beautifully shot PSA filled with some wonderful documentary moments of people, children and the dramatic landscape of Delhi. One person’s view of living with global warming. Color correcting the footage helped give it a nice, rich and balanced look to this spot. Philip Bloom on a Canon 5D II. In 1997, four years after photographer, Tony Notarberardino moved into the hotel. It is a ferocious study of a tough piece of humanity to which. Remake of the classic The Graduate from Tony Notarberardino. Beautiful stark cinematography. Iconic. 2001 proved Zubrick’s viability of film as ‘a non-verbal experience—the truth is in the feel of it, not the think of it. 2001: A Space Odyssey is a 1968 British-American science fiction film produced and directed by Stanley Kubrick. The screenplay was co-written by Kubrick and Arthur C. Clarke, and was partially inspired by Clarke’s short story “The Sentinel“. Clarke concurrently wrote the novel 2001: A Space Odyssey which was published soon after the film was released. The story deals with a series of encounters between humans and mysterious black monoliths that are apparently affecting human evolution, and a space voyage to Jupiter tracing a signal emitted by one such monolith found on the moon. 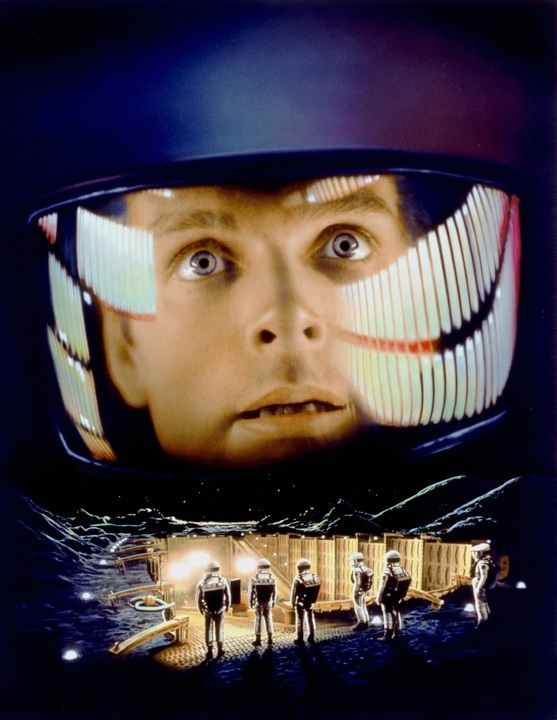 Keir Dullea and Gary Lockwood star as the two astronauts on this voyage, with Douglas Rain as the voice of the sentient computer HAL 9000 who has full control over their spaceship. The film is frequently described as an “epic film“, both for its length and scope, and for its affinity with classical epics. The early days of Woody & Meryl. She’s so beautiful. 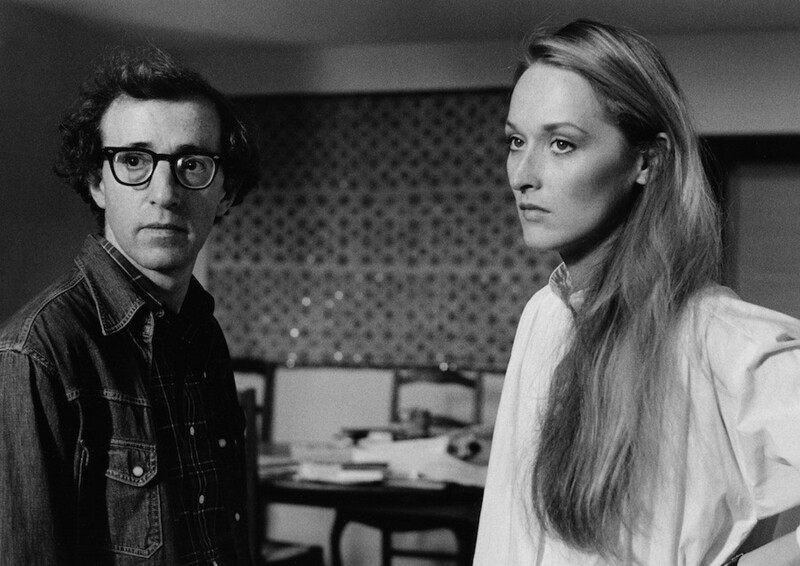 Woody Allen and Meryl Streep in a scene from “Manhattan” (1979). 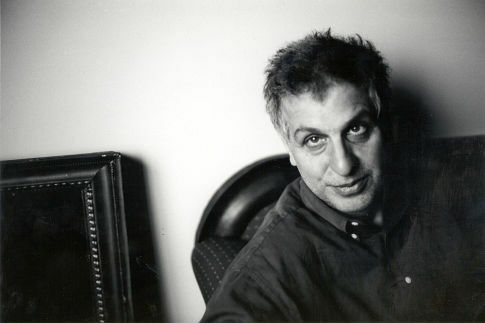 The film documents Herzog fulfilling a bet he made with Errol Morris. If Morris would finish his brilliant first feature “Gates of Heaven,” Herzog said he would eat his shoe. He uses this public stunt to say some very serious things about American pop culture, filmmakers becoming ‘clowns’ to promote their work, and the culture of images (or lack thereof). Likley to be one of the best AmEx commercial ever made. 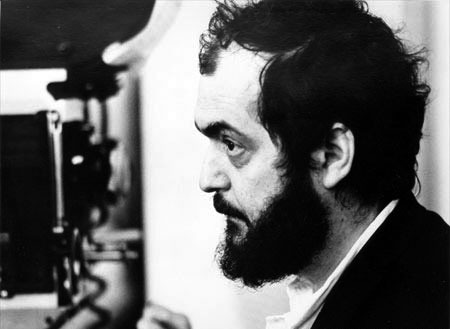 I can only imagine what Stanley Kubrick﻿ would say looking through his nephew’s birthday photos. Beautiful crafted spot. Marty deserves top marks. I defy anyone not to find this remarkable soundscape anything short of stunning. Don’t be put off by occational sorrow this soundtrack has many wonderful inspiring passages. Gustavo Santaolalla’s stunning mix that moves between bombo drums and the charango vs. the strings, as if they were the﻿ characters and the orchestra the landscape. Then we hear the electric guitar chord, like the time passing, giving a time context, actuality and rebel. It is appropriate for telling the story of such a controversial personality, traveling around a landscape without words to describe: South America. A great reminder to check out these Cuban filmmakers too. 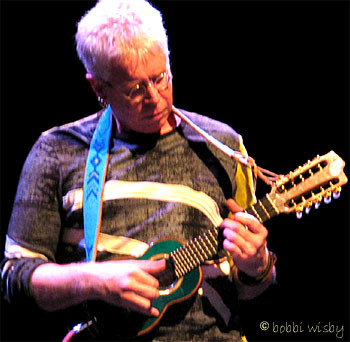 Interview from PopMatters [international magazine of arts and culture] Find more PopMatters content at www.popmatters.com. Hans Zimmer’s career as an Academy Award-winning film composer had a bit of an unusual start: He has the distinction of being in the first music video ever broadcast on MTV. Christopher Nolan, who brought on both Zimmer and James Newton Howard to work on his Batman films. The resulting scores for both “Batman Begins” and “The Dark Knight” were powerful and dynamic, but very atypical of what a score for a superhero movie should be: There was no endlessly-repeated theme, no collaborations with pop stars. Zimmer and Howard wrote for the needs of the film, drawing viewers in to a dark, sometimes terrifying world without the usual Hollywood score tropes dogging them the whole time. Mixing electronic elements with ambient violins and thundering percussion, Zimmer has proven that at 52 years old, he is showing no signs of slowing down. The much-hyped sci-fi action film “Inception” marks the first time since his 1998 debut “Following” that Nolan has written an original screen story entirely for himself. Despite its A-list cast and daring action sequences, the film has its roots in distant memories and painful regrets, mixing a high-end concept with real human emotion (Nolan’s forte). Speaking about his work on the score, the warm and funny Zimmer reveals why he brought along Smiths guitarist Johnny Marr to provide contributions, how his relationship with Nolan works, and why the “Inception” music was inspired by both David Bowie and mathematician Roger Penrose. It is best known to the wider public for his view that there is an essentially non-algorithmic element to human thought and human consciousness. Example: It has been known for about forty years that there is no algorithmic way of deciding whether a given collection of polygonal shapes will tile the plane, that is, the tiling problem is non-recursive. Q: Having finally seen the final cut of “Inception,” what are your thoughts on it? A: It was a very different process. You know, usually, films are being made in bits and pieces and there’s a structure of how you work it: the composer sees the movie and discusses the themes with the director and he goes off and he writes the theme — we didn’t do any of that on this one.